Line a 8 x 8 inch pan with foil and butter the foil. In a large saucepan, combine sugar, salt, butter, evaporated milk and marshmallow fluff. Set on low heat and stir until blended. Bring mixture to a boil, stirring constantly until temperature reaches 235 degrees on a candy thermometer. 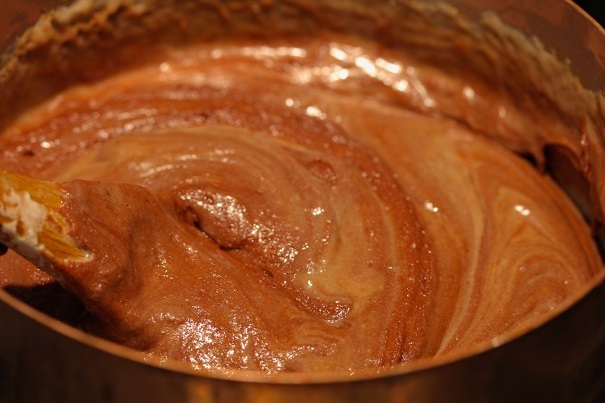 Remove from heat and add vanilla and chocolate pieces, stirring until mixture is well-combined. 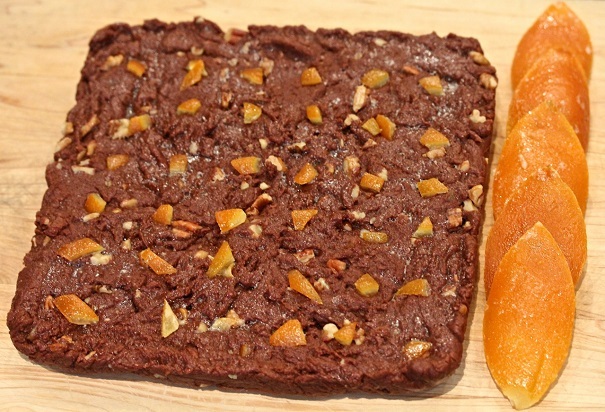 Add nuts and orange peel pieces and mix well. 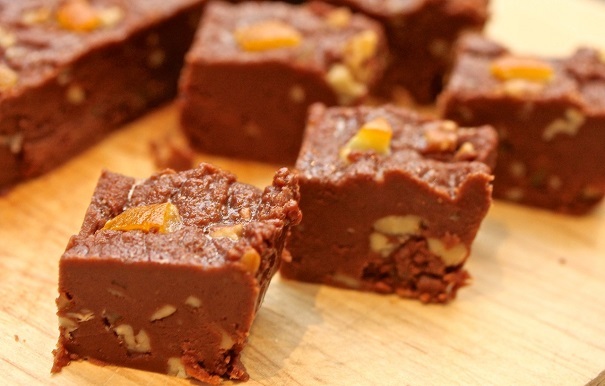 Turn fudge out into the foiled and buttered pan and smooth down gently. Allow to cool at room temperature until firm (take from 1-4 hours to firm up). Cut into one by one inch squares. Store in airtight container, keeps for up to a week.